Make precision, deep-profile molding and plane rough cut lumber to exact thickness with a Woodmaster Planer/Molder! 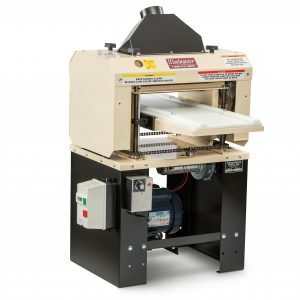 Our commercial-duty Planer/Molders each have a quick-change molding head that lets you create custom molding from any stock and an infinitely variable feed rate that lets you control each project for fast stock removal or fine finishes! Choose from 3 models to find one that is exactly right for your shop and budget. Plus $250 in FREE Molding Knives! Hurry! Offer expires April 22nd! 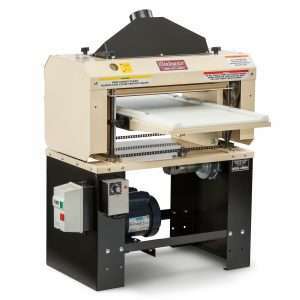 Quickly converts from Planer to Molder, Drum Sander or Power-Feed Rip Saw. Easily turns a $5 rough board into $75 worth of high-value molding…in less than one minute! True, Infinitely Variable Feed Rate! Just a twist of the dial puts over 10 times as many cuts-per-inch at your fingertips as any other planer…from 70 to over 1,000 CPI. You can sail through even the toughest oak at high speeds, or slow it down for satin-smooth surfaces and those “hard to work pieces” like curly maple, knotty cedar, burls and highly figured woods. 60-Day Free Trial & 5-Year Limited Warranty! Industry’s strongest consumer protection plan - by far! You take no risk! When your equipment arrives, put it to work for two full months. Put it through its paces, really work it. Like it? Keep it. Don’t like it? Return it and we’ll issue a prompt refund. We’ve made more planer/molders than any manufacturer we know of, anywhere in the world, BAR NONE. And, thanks to over 125,000 customers, we’ll soon be celebrating our 40th year right here in the USA! 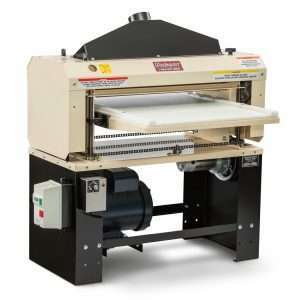 A powerful, 5 HP, 18-inch machine designed for serious craftsmen & production shops. Add a Pro-Pack and get full 4-in-1 performance -- plane, mold, sand and rip saw. Or, max it out with the Super Pro-Pack – everything in the standard Pro-Pack plus exclusive, 3-Side Molding System and 122-Tooth, Carbide-Insert, Spiral Cutterhead.